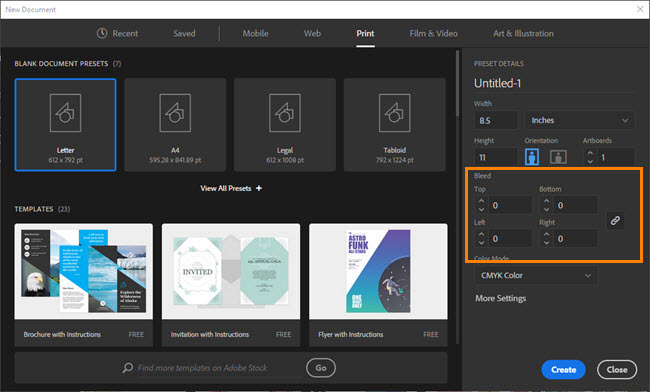 Creating a new file in Illustrator is easy. Follow the steps below. The dialog box has a lot of features. Along the top is a row of tabs to set the intent of the document - whether it's for Print, Mobile, Web, or Film & Video. 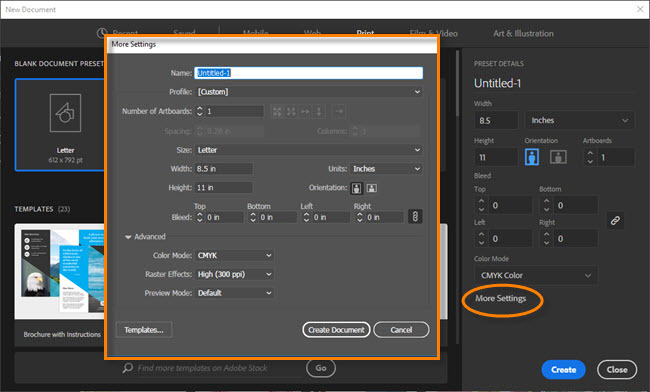 When you select the intent, certain defaults are selected, such as color model - CMYK for print, RGB for mobile, web, or video. 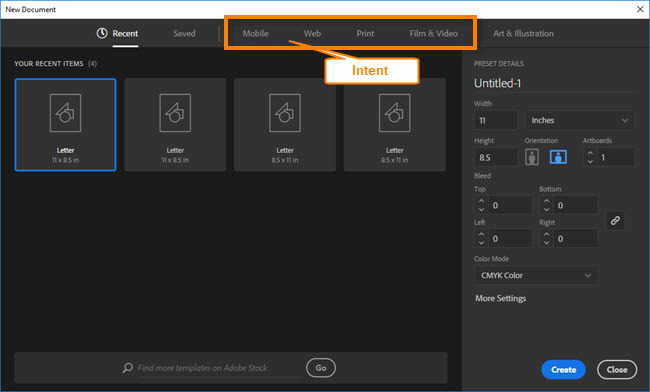 Once you've chosen the intent, a gallery of standard sizes will be displayed, or you can use the Width and Height fields to create any size. Here, Print has been selected, using Letter size. There is also a Unit of Measurement menu to the right if you prefer not to use points. Over at the right are options for the Bleed. In printing, bleeds are used when color needs to go right up to the very edge of the page. 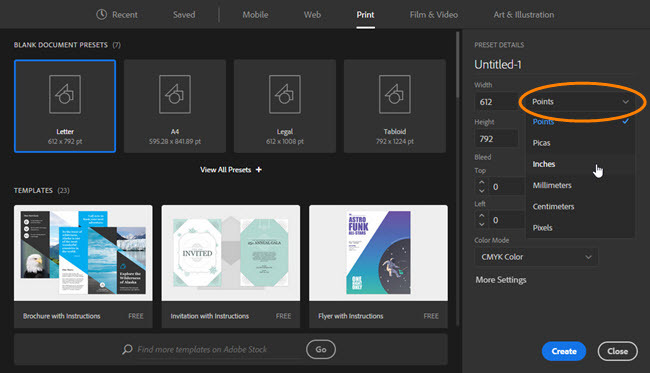 Additional space is built in around the outside edge of the artboard, and is used as a guide in determining how far objects must be extended past the edge in order to print properly. After the page is printed, it is cropped down to the correct finish size. Although the options in the New Document setup haven't really changed, the look of the dialog box has been revamped. If you are more familiar with the old design of the dialog box and would prefer to use that, click More Settings. 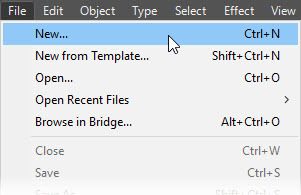 Once the desired options have been set, click Create, or if using the More Settings options, Create Document.